The Pacific Cultures team at Te Papa would like to acknowledge the retirement of Galumalemana Alfred Hunkin from his role as head of Samoan Studies at Victoria University of Wellington. 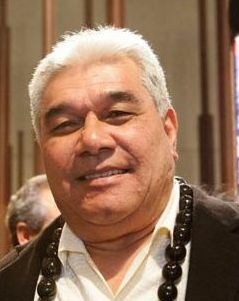 Galumalemana founded the Samoan Studies Department and has published books and articles on the Samoan language. Galumalemana has been a key advisor for Te Papa since the 1980s, when he was involved in concept development for what was then a new museum building project. 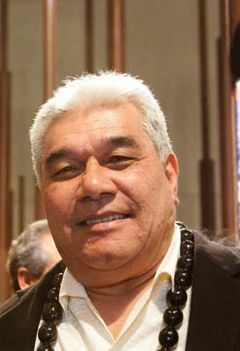 He was the chairperson of our Pacific Advisory Committee that was convened for major Pacific exhibitions including Mana Pasifika – celebrating Pacific Cultures (1997-2006) and Tangata o le Moana: the story of Pacific people in New Zealand (2006 – present). Galumalemana has advised us on many issues especially those relating to Samoan language and culture. He has officiated at many cultural events, and on occasion, he has served on Te Papa appointment committees. The Pacific Cultures team thanks Galumalemana for making such a valuable and longterm contribution to Te Papa (more than 25 years) . It’s amazing he was able to give us any time at all given his many community projects and commitments. Fa’afetai tele lava Galumalemana, we wish you well on a well earned retirement.